Over the years we have repaired a large number of parts from many different industries and helped our customers to repair their electronics, independently whether they are new or discontinued by the manufacturer (end-of-life stage). If you have Industrial Electronics which have been discontinued or seem irrevocably damaged, the equipment manufacturers often recommend expensive upgrades to your equipment. VOLTIP offers fast, reliable and cost-effective repairs. We always work in partnership with our customers to provide flexible tailored solutions including the design and production of new Printed Circuit Boards adapted to your machine specifications. Our certified Engineers can also retrofit your system to be able to receive new parts available on the market. 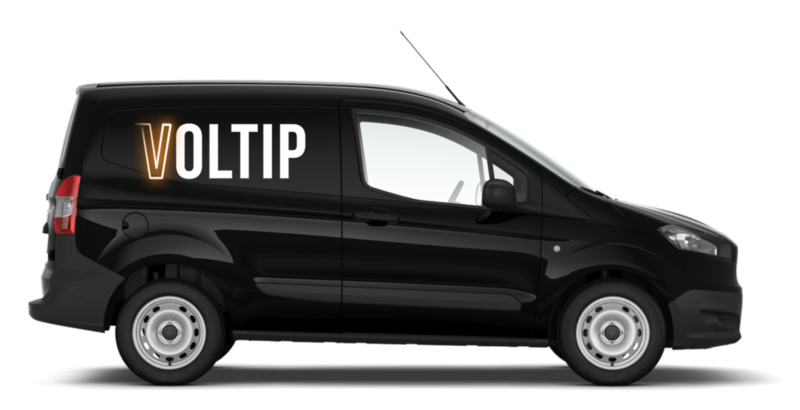 At VOLTIP we work with fixed prices, so you know in advance the amount you have to pay – no surprise costs. After the electronic part is received, you will receive a quote. Only after your acceptance, we will proceed with the repair. If by any reason the repair is unsuccessful you will not be charged any repair costs. If your manufacturing line down or a crane stopped working, affecting your business and productivity, or you can't stop production and repairs need to be made after work hours, at an extra cost, we are capable of providing assistance on 24/7 basis. You may either ship your component or our team can arrange for the part to be collected in order to start the repair immediately. After office hours, during the weekend or on bank holidays, we are here to help and work with you to minimize your production standstill. they are found in a range of modern technologies across all industries. discontinued by the manufacturer or expensive. are the defective components or burnt tracks and replace or repair them as necessary. We keep a wide variety of the most common components in stock, to provide the fastest repair possible. Our engineers have the capability to verify the software, produce backups and reprogram integrated circuits when necessary. and programmable automation controllers (PACs) for a wide range of brands. Our engineers can repair a variety of Touch Screens, Monitors and HMI units. Such displays include industrial CRT´s, LCD´s, Plasma and TFT´s. HMIs are an essential component of Industrial equipment, providing a clear and fast interface. we have the ability and experience to repair and test most popular types. CRT failures can usually be predicted as screens can start to fold-over or operators have to turn up brightness settings. Our engineers and can provide a quick and reliable repair to most HMIs. We even upgrade old CRTs to flat screen TFTs. Low brightness, a crack in the screen or an unresponsive touchscreen will impact the time needed to program a machine. We support a vast range of HMIs, from CRTs to LCDs, from most brands. Our team of engineers regularly service and repair most types of machine tool control systems, working down to component level. CNC machines require several electronics, from the power supply to the control unit and industrial networks. resulting in a repair that with large cost savings over using the Original Equipment Manufacturer. If you are having problems with reliability or obsolescence, our skilled engineers will carry out preventative maintenance upon all your CNC control systems. relays and other components necessary to ensuring the reliability demanded by an industrial environment. Servo Drives are used for the precise control of motor position and speed. They range from AC, DC, servo, spindle and variable frequency drives. We can repair most of the servo drives in the industry – our services include repair, overhaul and parameter back-up. AC or DC,single-phase or multi-phase, Switch mode, Linear and Uninterrupted. we are able to diagnose, repair and test most PSUs. replacement of parts we deem to suffer due to age.